Daily UI #001 - Sign Up to the Dark Side! 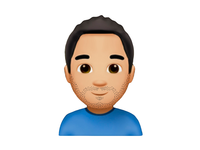 Me emojified! — I design myself as an emoji!